Listen, there’s a lot of stories flying around about Meghan, Duchess of Sussex these days, including a theory she’s faking her pregnancy which we can’t even believe is a thing. But one story that’s left us wondering if there’s any truth to it is all about Meghan possibly running the Sussex Royal Instagram account. As a member of the royal family, Meghan is technically not supposed to have a personal social media presence. Since her actions reflect on the royal family, whatever she does has to go through official channels and is later posted to social media by royal staff members. 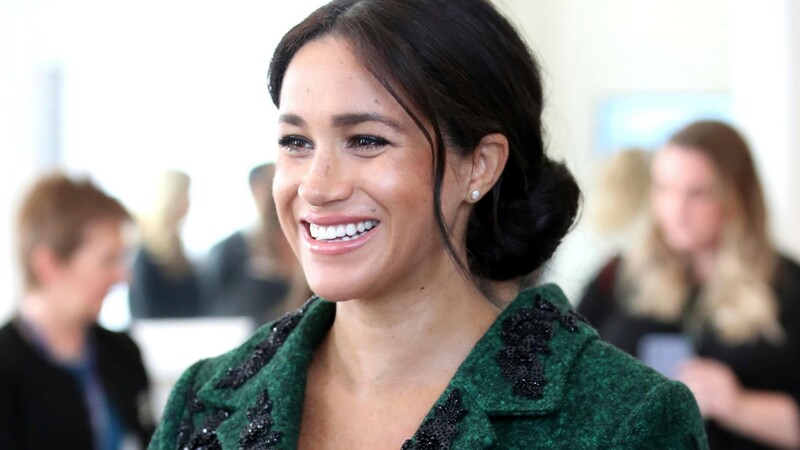 With this in mind, fans are theorizing that she is actually the mastermind behind the Instagram account for her and husband Prince Harry and they have come up with some very unique evidence that has us questioning what the real deal may be. Meghan’s followers have noticed something odd about the captions under a few Sussex Royal Instagram posts. Although the account is for two members of the British royal family, in which case you’d imagine the captions for each photo would follow British grammar and spelling rules, people have noticed some of the captions contain American spellings. This has led people to think that Meghan could be posting to the account and, because she’s American, accidentally slips back into spelling some words like an American would. Case in point: in a recent post for the charity Baby2Baby, the last line of the caption includes the phrase “very special organization.” Brits frequently use the letter “s” in words that Americans would use a “z” for, so you’d expect this phrase to read “very special organisation” if it had been written by a Brit or for an account about two members of the British royal family. To be fair, the word “organization” could be spelled American style because it is describing a Los Angeles-based charity. Did the person who posted this have want to stay on theme? We’d be cool to accept that logic if there wasn’t other evidence to back this theory up further. Other curiosities about their posts include the use of both American and British currency as well as the use of heart emojis, both of which are uncharacteristic or uncommon in social media posts from other royal family accounts. It’s tough to say whether Meghan is actually running the account or, at the very least, occasionally posting instead of, ostensibly, the account’s social media manager. Before getting married, Meghan was active on Instagram and ran her own lifestyle website, The Tig, both of which have since been shut down. It’s entirely possible Meghan’s had the itch to get back into posting mode lately and has chosen to do it through her official Instagram account. We can’t say for sure, and it’s possible we’ll never know since it’s unlikely Meghan will comment on the theory. But it’s definitely fun to think about, don’t you think?